To assemble the spaceship, we had it pretty easy. The box we found to fit over Grey in his wheelchair fit perfectly, so we just needed to make cut outs for his arms. With the second, smaller box, we made the front part of the ship. We cut some extra pieces of cardboard out as the wings and spraypainted the whole thing silver. We then added the two toilet paper holders (that were already spray-painted) to the back. Once the ship was assembled and spray painted, we used blue, red, yellow, and white paint to add the design on the sides. Finish up with a little tissue paper as first and ta-da...a spaceship! 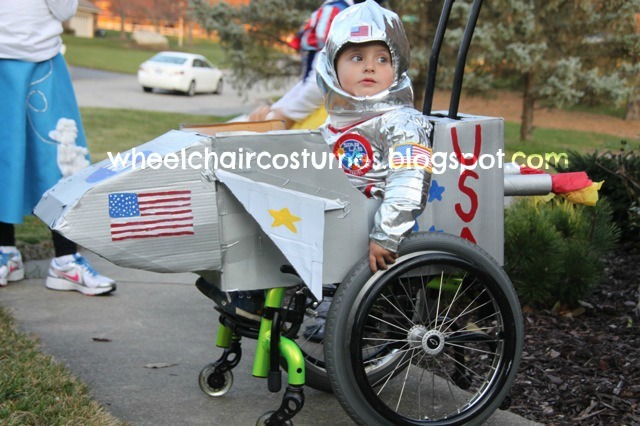 *side-note this was our first try at a wheelchair costume and I learned that it is best to put the duct tape on the inside of the box, or use hot glue. Even when spray-painted the duct tape shows up. Also, I had to remind myself that this costume was only going to be used for one day and it was just for fun...it's ok if it's not perfect! 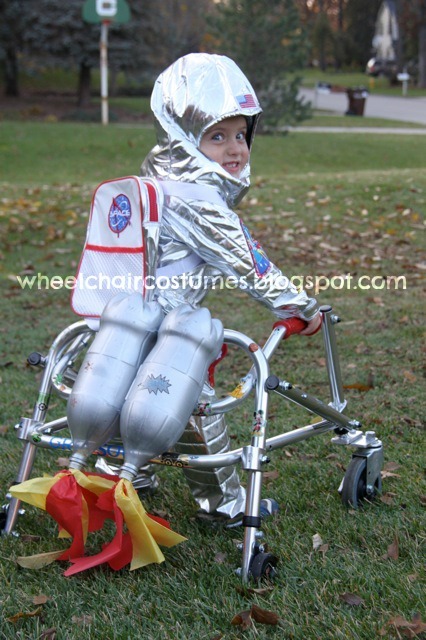 That year we also decided to make a jet-pack out of his walker. We spray painted two 2-liters silver and added the tissue paper as fire. We then hot-glued them together and tied them to his walker. 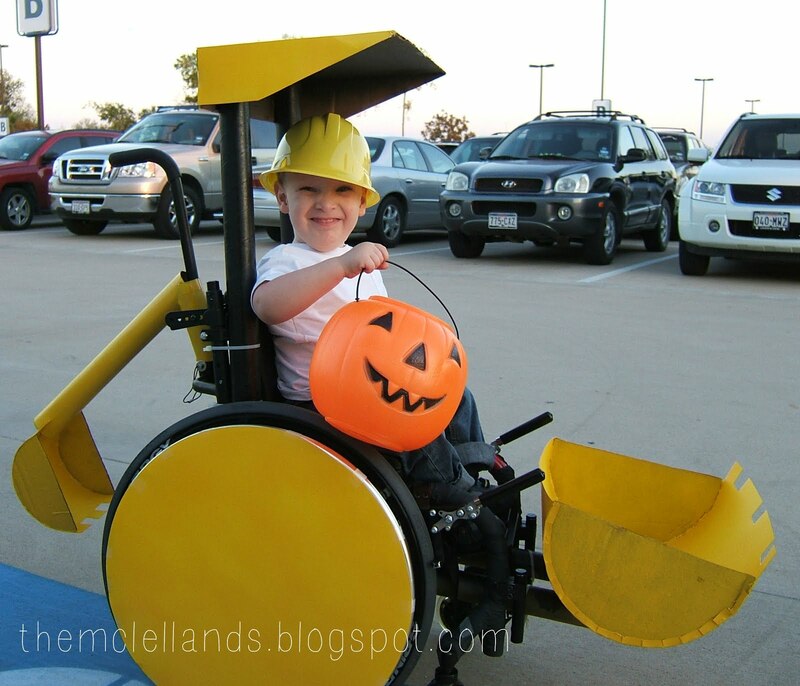 Thank you Leigh from "Our Little Gibblet" for the great costume idea!